Dan Martin has taken 4th overall in Valencia but he is immediately looking for another strong result when he lines out next with UAE Team Emirates. 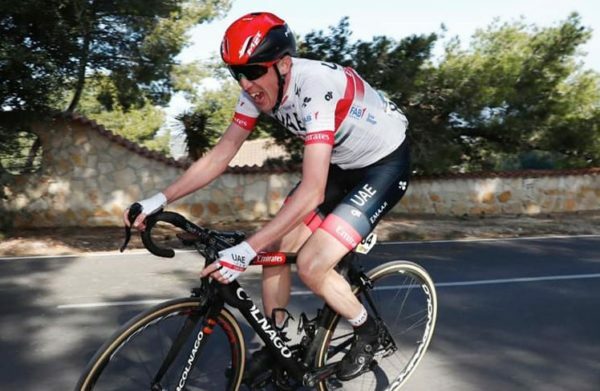 Ireland’s Dan Martin has rounded off his first stage race of the year with 4th overall but said he was immediately looking forward to UAE Tour. Having finished 10th on the opening stage TT at the Volta a la Comunità Valenciana and then claiming 5th on the queen stage yesterday, he was just one place off a spot on the final podium. 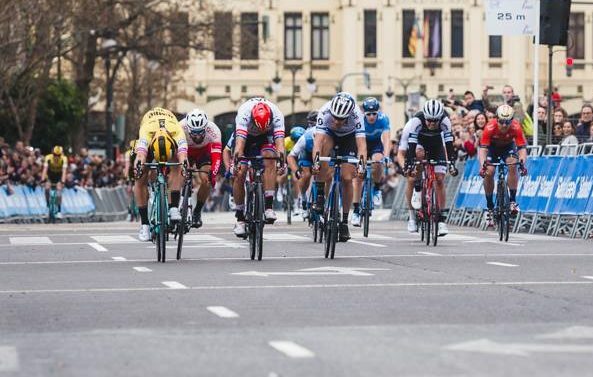 The final stage today in Valencia came down to a bunch sprint as predicted; Dylan Groenewegen (Jumbo-Visma) getting the verdict. Martin finished in the main field with the rest of the general classification men, including yellow jersey and overall winner Ion Izagirre (Astana). He won overall by seven seconds from last year’s victory Alejandro Valverde (Movistar) and Pello Bilbao Lopez de Armentia (Astana). Dan Martin was 16 seconds back in 4th. He said he was now in the hunt for a strong result in the upcoming race in the United Arab Emirates, which also sponsors his team. “I’m happy with the work that I’ve done here with my teammates,” said Dan Martin after the conclusion of the final stage in Spain today. “I didn’t have the training in my legs necessary to fight for the win on the climbs like yesterday. Groenewegen beats Kristoff and Trentin to victory on the final stage in Valenica today.